Appendicography is sometimes performed in diagnostic uncertainity of abdominal discomfort, if previous examinations did not elucidate its cause. 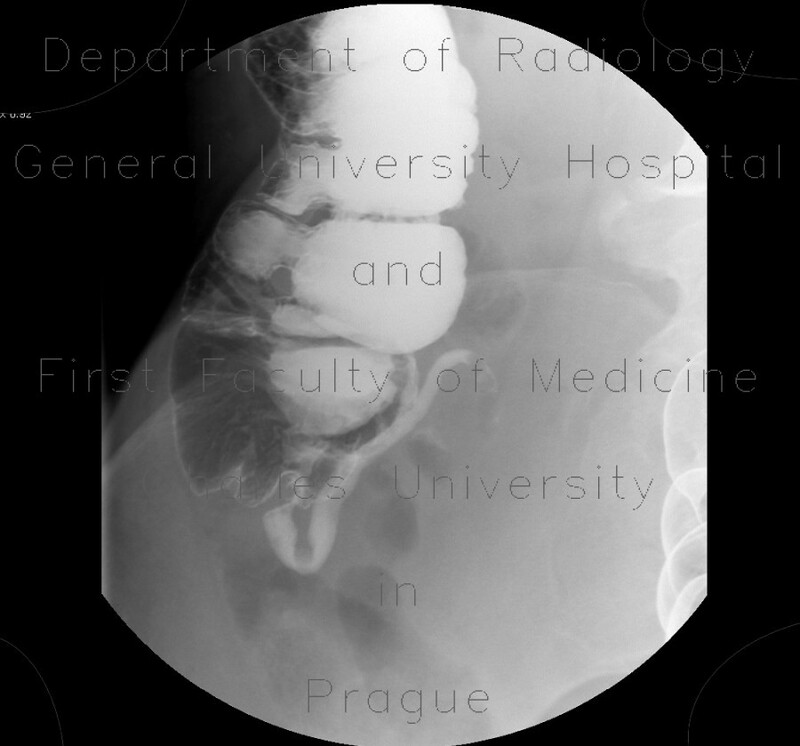 Its indication is dubious and often at least one fecolith (depicted as intraluminal filling defect) is found in the lumen of appendix (see this case). Luminal irregularity (not present in this case) may hint some chronic changes of the appendix.